Spring Sale! Save 15% on ALL custom skins for a limited time! Find Out More. Save 15% on ALL custom skins! No code necessary, discount automatically applied at checkout! Limited time only special! 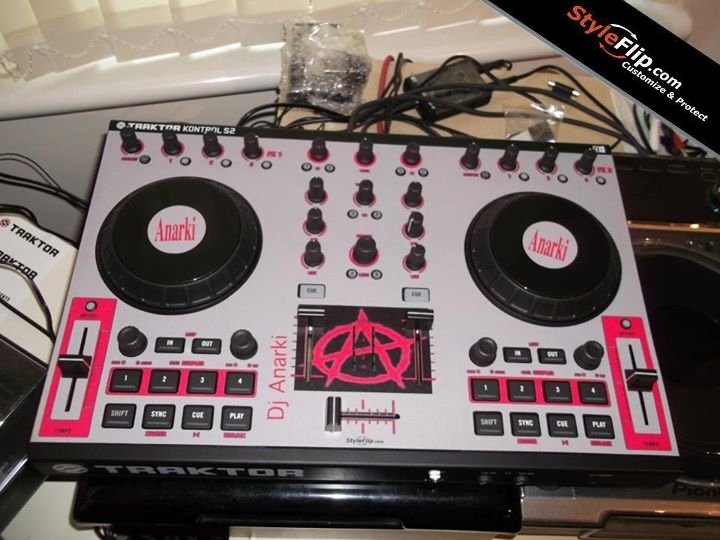 Sale does not apply to previous orders or orders containing custom Serato control vinyl. Select your skin coverage option to get started. 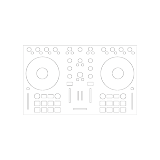 Our Native Instruments Traktor Kontrol S2 MK2 custom skins are perfect for creating your own personalized look, promoting your brand & protecting your gear. Our skins are made from the industry’s highest quality premium 3M self adhesive vinyl specifically designed to allow for an easy, bubble-free application with a no hassle, residue-free, clean removal! Each custom skin is finished with a textured scratch resistant laminate that provides protection for the life of your product. 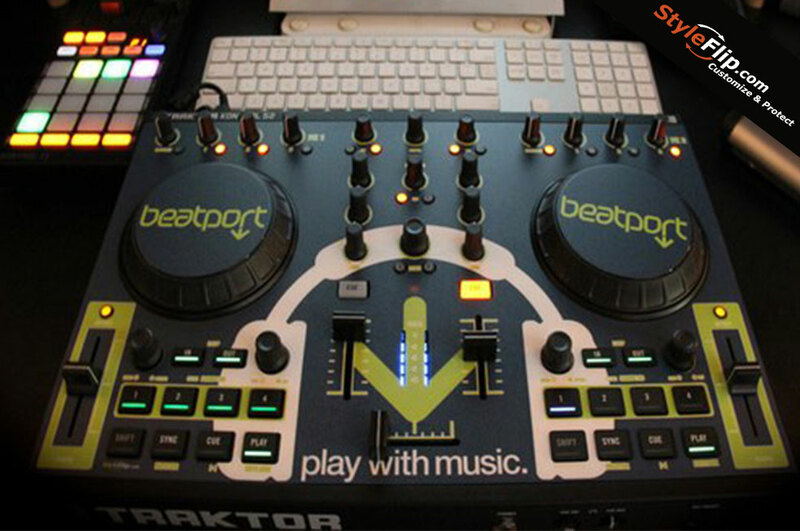 Our overlay decals are designed to fit over your Native Instruments Traktor Kontrol S2 MK2 without interfering with knobs, buttons or sensors. 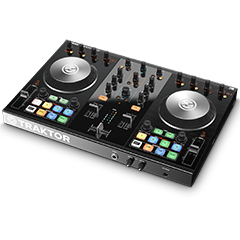 Like all of our skins, our custom Native Instruments Traktor Kontrol S2 MK2 Skins come backed by our 100% money back satisfaction guarantee! 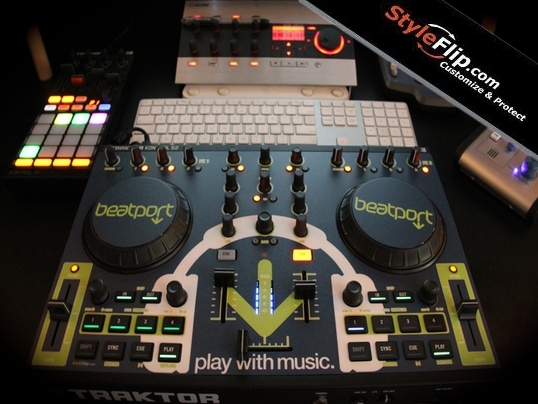 Create & design your own custom Native Instruments Traktor Kontrol S2 MK2 Skin overlay now! To get started click on the “Create Your Own” button above! 2. Choose a design or upload your own! Want to create your very own custom skin? the top of the page and uploading your own image! For instructions on using the online editor click here. For offline PSD templates log into your acount and download your template below! For more information about the offline template click here. After your design is ready, please click below to place your order:https://www.styleflip.com/upload-template . © 2012 style flip. All rights reserved.